I am an elementary school teacher by trade, but a CrossFitter by choice. I found CrossFit through Social Media. I came across Miles and we immediately hit it off. I’ve been a member of the CFSC community for 5 years. 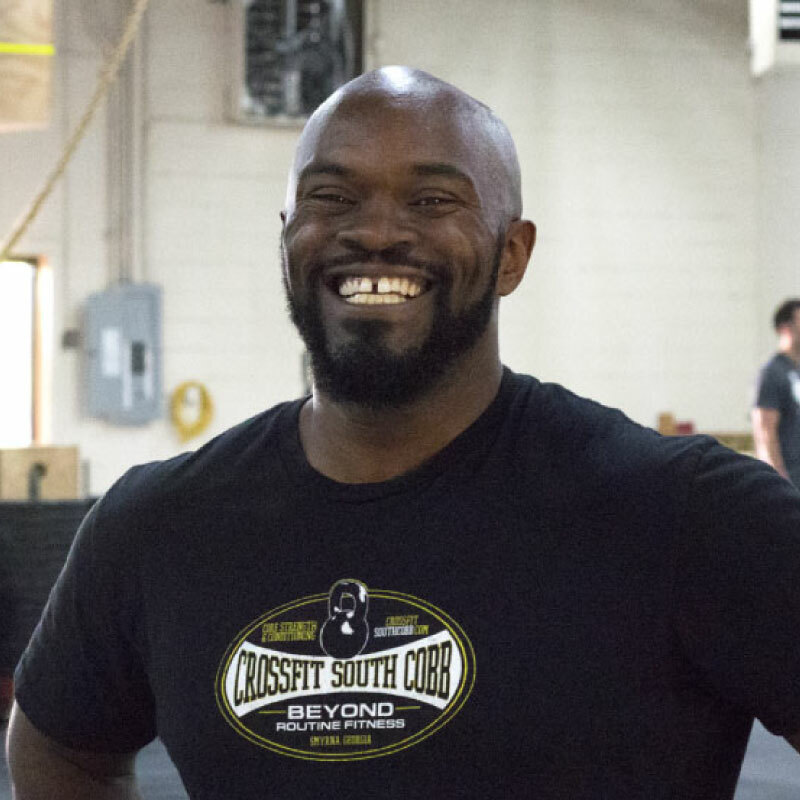 I enjoy interacting with people from all over the place around this central theme of CrossFit and overall fitness. Seeing and helping people reach goals that they didn’t think they could top is the most tewarding aspect of this role. Being a member and now a coach here has made me stronger and a more well rounded professional inside and outside of the gym!